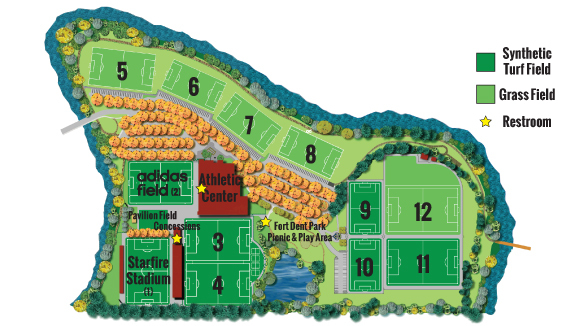 Starfire is home to over a dozen world-class fields for team trainings and outdoor sports events. In addition, Starfire offers private meeting spaces for groups of up to 75 people. Whether you are looking to play inside or out, you’ll always feel like a pro when you step foot on one of Starfire’s world-class fields. Starfire offers five artfully maintained grass fields, as well as two indoor AstroTurf® fields and eight outdoor synthetic turf fields. No matter what field you choose, you’re in for the ultimate soccer experience. Starfire has a variety of rooms available for reservation. Whether you holding a meeting, leading a training session or throwing a party, we have a space to fit your needs.